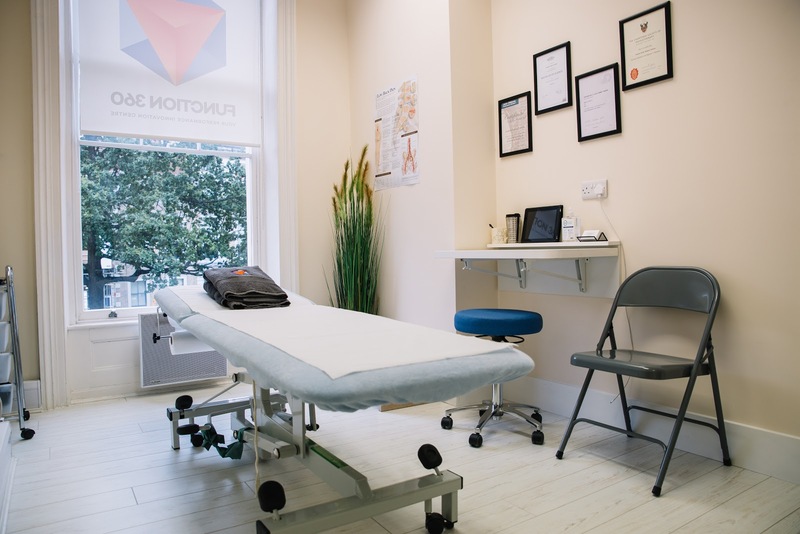 Function360 have just opened a new clinic in Moorgate so being within the few miles that I actually travel in London meant it was the perfect location for me. In addition to Sports Massage they also offer a host of other treatments including gait analysis and physiotherapy. Perfect timing having completed RideLondon-Surrey 46 a week ago which also came just a couple of weeks after our ride to Paris (I don’t think I’ll ever stop talking about that adventure!) …which in itself followed on from months (well, a few) of training on the bike on top of everything else. So I think a sports massage was called for?! Now, having not been for a sports massage in a while I had no idea about etiquette, do’s or don’ts. I figured I would keep my sports bra on so I wore one that wasn’t too strappy along with a pair of Bridget Jones knickers (which I have to say are actually my underwear of choice on a day to day basis). I sandwiched my appointment in between teaching a morning class and an evening class so it was no surprise I was feeling pretty tired by the time I made it to the clinic… I also convinced myself that eating before the massage would be a no-no so that prob didn’t help my fight to feel energetic. Anyway, once I located the clinic (I passed it as I was following the road signs) it was a breeze from there. My appointment was with Mike who I had a quick chat with before he got to work. I filled him in on all my sweaty endeavours as well as sharing any particular areas I felt might need some extra attention… hmmm, how much can we fit into one 60 minute appointment?! Mike started on my back and shoulders, which actually weren’t as tight and knotted as I expected before he moved onto the backs of my legs. Peeling my face off of the bed was pretty damn funny and the shock of the light was crazy (Mike was well prepared with a lavender eye pillow). Hello tight calves and super tight hamstrings. What a reminder that I really should dedicate some time to stretching and probably start going back to yoga. Someone just give me a few more hours in a day okay?! Then onto the front of my legs and my not as bad as I expected but still pretty tight quads and shins. I’m pretty proud of myself and my pain threshold; it’s one of those things where you know the temporary discomfort is worth it in the long run. I’m also lucky that I don’t bruise so I’ll take all the pressure I can get! This post does come with a warning though: please note that you may not think about work for the hour you’re on the massage table. This may lead to clarity post massage where you figure out where you want to holiday and book flights to Barbados for four weeks later. You’ve been warned. Duuuudddde….who is in need of a sports massage right about now? !